“Pray, v. To ask that the laws of the universe be annulled in behalf of a single petitioner, confessedly unworthy.” So Ambrose Bierce defined prayer in his Devil’s Dictionary. The astounding thing is that some people believe God does indeed suspend the laws of the universe sometimes. You would think, then, that all miracles would blow the mind—yet with so many miracles occurring, at least some are a little humdrum. Here are ten amazingly underwhelming acts of God. St. Lutgarde found herself given over to a nunnery in the 12th century, not because of any particular piety but because her dowry had been lost to bad investments. With no prospects of a marriage, the life of a nun was the most respectable option open to her. When a man courted her despite her new style of living, Jesus appeared to Lutgarde, and she gave up any affection for the world, telling her suitor, “Go away from me, for I belong to another Lover.” Many other wondrous miracles are reported, such as levitation, healing, and the marks of stigmata. But there is one curiously banal miracle which many people may sympathize with. When Lutgarde moved to another nunnery, she wanted to escape the responsibilities of a superior nun to better focus on her devotions. Her new home was full of French-speakers, as were other religious houses eager to have the holy Lutgarde living with them. To avoid having to serve in the hierarchy of the convents, Lutgarde prayed to the Virgin Mary for aid. In a vision, the Virgin appeared and promised that Lutgarde would never speak a word of French. The miracle came to pass, and St. Lutgarde never did learn French. 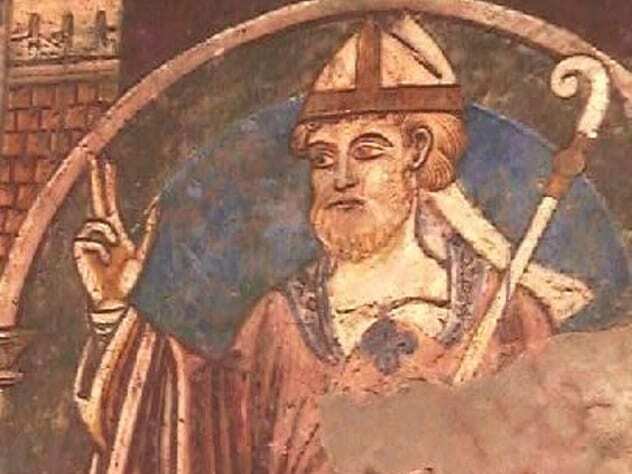 St. Cuthbert was a Celtic saint of the seventh century with such a reputation for performing miracles that he was known as the “Wonder Worker of Britain.” The written sources about his life provide a huge list of strange and marvelous events. He could control the wind, he healed the sick, and water that he tasted changed to wine. When a group of monks visited him, he asked them to cook a goose that was hanging on the wall. The monks did not do as they were asked, and a storm blew up that trapped them on St. Cuthbert’s island. Only after seven days did the monks cook the goose, and the tempest stopped at once. Many of Cuthbert’s wonders involved the natural world, but one in particular is both cute and a little disappointing. Cuthbert had a habit of going down to the seashore to pray in the dead of night. Intrigued, one of his fellow monks followed him to see what Cuthbert was doing. Throughout the night, Cuthbert stood in the frigid waters of the North Sea, only returning to the beach in the morning. Understandably, Cuthbert’s legs were frozen, but the saint began to pray, and a pair of black otters appeared and rubbed and licked his legs until they were dry and warm. 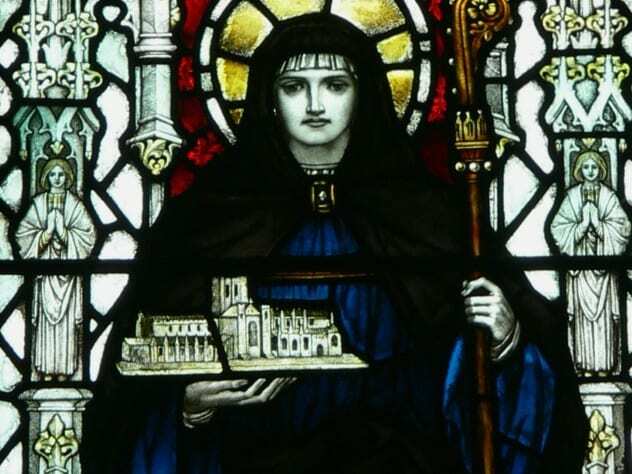 St. Werburgh was another saint from the north of England in the seventh century. Coming from the ruling royal house, she followed a number of her female relatives by becoming a nun. Among her family were a number of saints, so it is perhaps not surprising that she joined the family business. She was responsible for a number of reforms in many holy institutions. After her death, Werburgh’s brother became king, and he moved her body to a more fitting resting place. When her first grave was opened, her body was found to be miraculously undecayed. St. Werburgh is often shown with a goose, and this is because of an anserine (goose-related) miracle ascribed to her. A flock of geese was causing trouble in the neighborhood of her nunnery. The people called for her to help, so she called the geese into her home to keep them from damaging any more crops. In the morning when she went to let them out, she noticed that one of the geese was missing, having been eaten by a servant. She had the bones and feathers of the goose brought to her and returned it to life. For aiding one of their fellows, Werburgh made the geese promise to never return to the nearby fields for all eternity. Apparently, they never did. 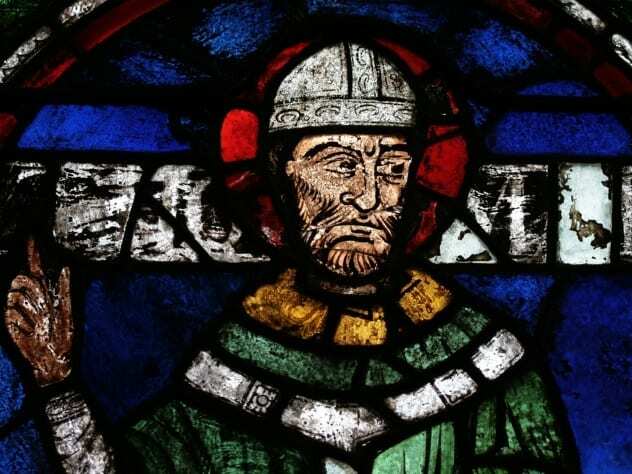 St. Thomas Becket was England’s most famous martyr. At first a friend of Henry II and then his enemy, Becket was killed by three of the king’s knights in the cathedral at Canterbury. Almost immediately, he was hailed as a saint, and all manner of miraculous occurrences were attributed to him. Yet he seems to have had a particular fondness for cheese. In one miracle, a girl called Salerna stole some cheese from the larder to have for her breakfast. When her mother found out, Salerna was threatened with a whipping so severe she would die from it. 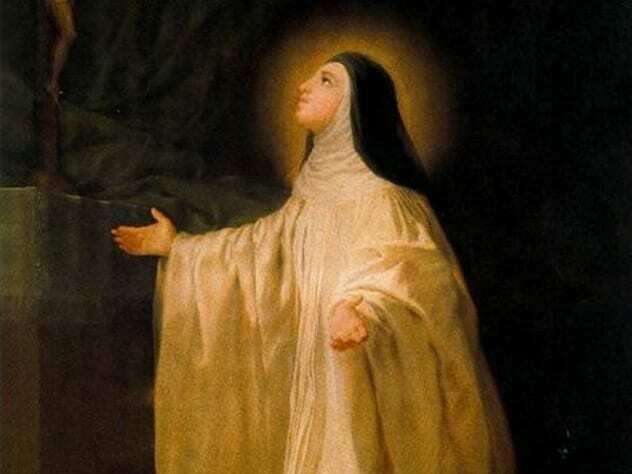 Fearing a painful demise, Salerna prayed to St. Thomas to save her all night, but in the morning, still terrified, she threw herself into a well for a quick drowning. St. Thomas guided a shepherd to the well, and the girl was saved. Nothing is said of whether she was whipped. Normally, the only miracle that a buttercup is able to perform is in guessing whether a person likes butter or not. If you see a glowing yellow reflection when a yellow buttercup flower is held up to a person’s chin, then it is an infallible sign that said person does indeed like a bit of butter. Or it could be due to the unusually smooth surface of the flower, which transmits a lot of yellow light, as scientists would have us believe. Regardless of where you stand on that debate, St. Euddogwy, or St. Oudoceus as he is also known, had another butter cup miracle. One day, while working outside, the saint found himself thirsty. Approaching a well, he found a group of women washing their butter. He asked for a cup, but the ladies saucily replied that the only cup they could give him was one made of butter. The saint took them at their word, molded a cup from the butter, and used it to drink from as it miraculously held its shape. There are some who say that there was a further miracle in that the butter cup was transformed into a gold one, but that detail would be too impressive for this list. St. Gangulphus was a knight of King Pepin the Short and is now venerated as the patron saint of difficult marriages. The details of his own marriage may explain why. Gangulphus’s wife thought he was an idiot. He once bought a spring of water on a distant farm, for which his wife upbraided him—what use was a spring on someone else’s land? Gangulphus went outside and stabbed his staff into the ground, whereupon a spring bubbled up, and the spring he had bought dried to nothing. While her husband was away making dubious deals, the saint’s wife had begun an affair with a clerk. When Gangulphus heard rumors of their affair, he decided to let God sort out the truth of the matter. He told his wife to pluck a pebble from the bottom of a spring, and if nothing happened, he would believe she was innocent. As soon as she put her hand in the water, it was scalded. The truth was out, but Gangulphus was willing to forgive his wife and urged her to live a holy life. She did not end the affair. The clerk attacked Gangulphus while he slept and killed the saint. What happened next are the two defining miracles of the saint’s life. The adulterous clerk was overjoyed to have freed his lover from her husband. He danced a jig in celebration. Immediately, he needed to use the toilet, and when he did, his bowels ran out, killing him. Gangulphus’s wife suffered a different fate. When told that her husband was performing miracles after his death, she declared contemptuously, “If Gengulphus can perform miracles, then so can my arse!” Immediately, and on every Friday thereafter, whenever she tried to speak, she would fart instead. 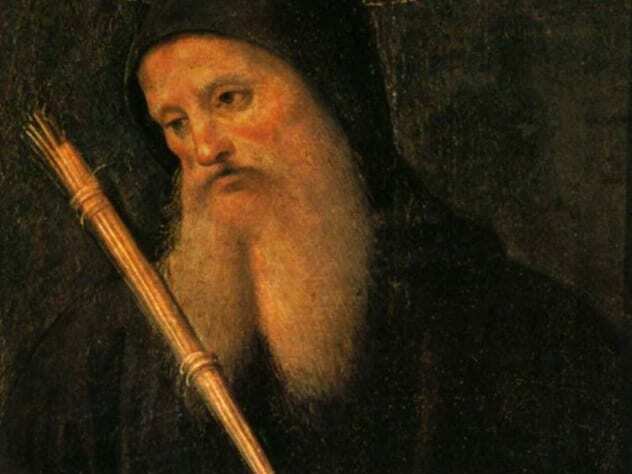 Saint Benedict of Nursia is the patron saint of Europe and is considered to be the founder of monasticism on the continent because of the rules he set out for his monks. Besides his influence in the Church, he was also said to have performed a great many wonders. When some monks found his rule too harsh, they attempted to poison him, but the saint made the Sign of the Cross over the glass, and it shattered. When someone was drowning, he commanded a man to run out and save him, and the man walked on water. He even brought a dead child back to life. In between these startling miracles, Benedict also found time for a little garden repair. When a monk was ordered to clear a plot of land with a scythe, he was so zealous that the metal head flew off the tool and disappeared into the nearby lake. The monk, terrified and afraid of being berated by St. Benedict, simply took the handle of the scythe and waved it in the water. The head of the scythe leaped back on, and the monk could continue his work. 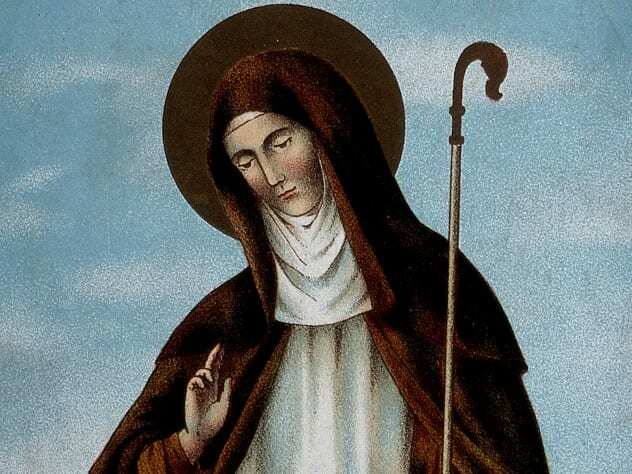 St. Brigid was one of the most popular Irish saints of the Middle Ages, and when you consider her miracles, it is not hard to see why. One day, when expecting guests, Brigid realized there was not enough food, so she prayed over stinging nettles, which became butter, and tree bark, which became delicious bacon. In one less wholesome miracle, when she was faced by an unwanted suitor, she prayed to be made hideous. God then made one of her eyes explode. But it is mainly the homely miracles relating to food that Brigid is remembered for. When a group of lepers once came to St. Brigid for aid, they asked for some beer. Finding she had none at hand, she realized there was plenty of water in the baths. She turned this into beer, apparently the best ever tasted. One can only hope it was bathwater that hadn’t already been used, unless you like a cloudy ale. One of the perks of being a saint is that sometimes, you will be granted the power of prophesy. 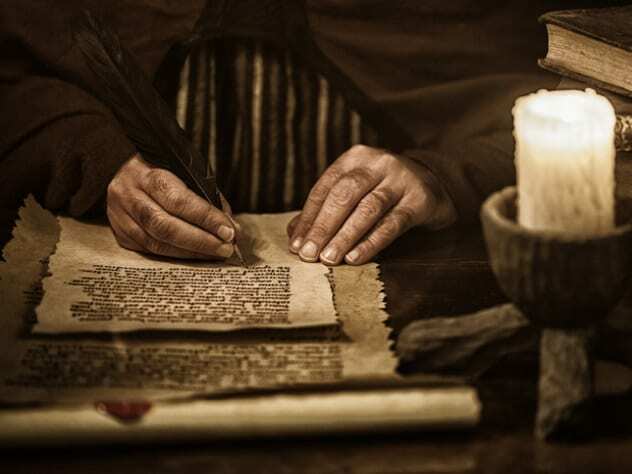 Being able to predict the future can be very handy, but sometimes, the things saints have foreseen are not exactly spectacular. 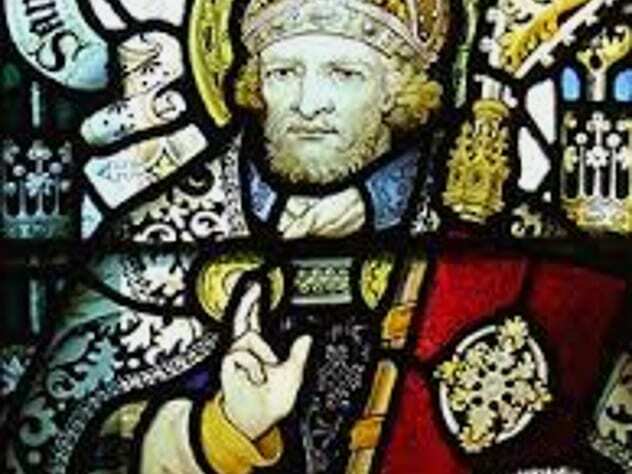 St. Anselm, archbishop of Canterbury, was particularly prone to visions which revealed the future to him. He might know when messengers or ships would arrive. One of his visions, though, told him where to throw a net in a river so as to catch a big fish. And a fish was caught. St. Columba was another saint given to predictions. He once saw that a book would fall in water, and it did. On another occasion, he predicted a guest would arrive. All miraculous enough, but once, he heard a shout from across some water. Columba said that whoever was shouting would come and spill over the ink horn on his desk. And the man did come and did knock it over. 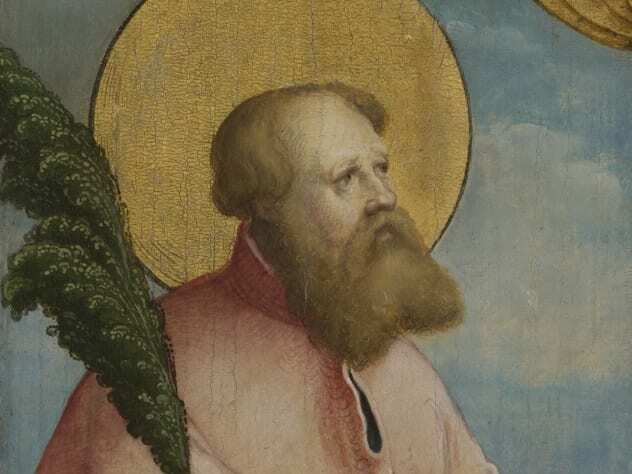 The image of a saint with a beard is not so strange. In Wilgefortis’s case, however, it is a little unusual, in that Wilgefortis was a woman. St. Wilgefortis, who is also known by many other names, is often considered to be wholly fictional, even by those in the Church. Her bearded image can be found in many places, though. The story goes that Wilgefortis was the daughter of the king of Portugal. Despite her taking holy vows of chastity, her father was insistent on the princess marrying the pagan king of Sicily. Wilgefortis prayed for a way out of the prospective marriage. God answered her prayers by miraculously sprouting a lustrous and long beard on her face. 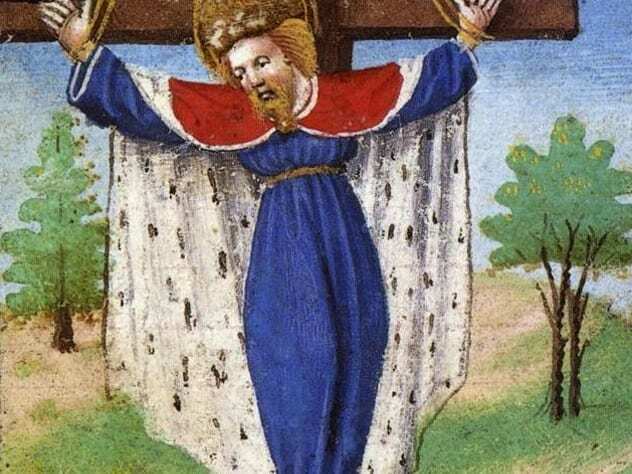 The king of Sicily refused to marry Wilgefortis, and her father was so furious that he had her crucified. Women wishing to be free of abusive husbands prayed to St. Wilgefortis for relief. Whether they also prayed for a beard is another question. Read about some more less-than-miraculous miracles on 10 Self-Proclaimed Holy Men Whose Miracles Went Horribly Wrong and 10 Scandalous Saints And Would-Be Miracle Workers.